What is SS540 Steels? SS540 steel is a structural hot Rolled steel in the form of plates, sheets & strips for general structural applications. SS540 is a material grade and designation defined in JIS G 3101 standard. JIS G 3101 is a Japanese material standard for hot Rolled steel plates, sheets, strips for general structural usage. The structural quality hot rolled SS540 steel is more reliable in its tensile strength than SS490 steel. 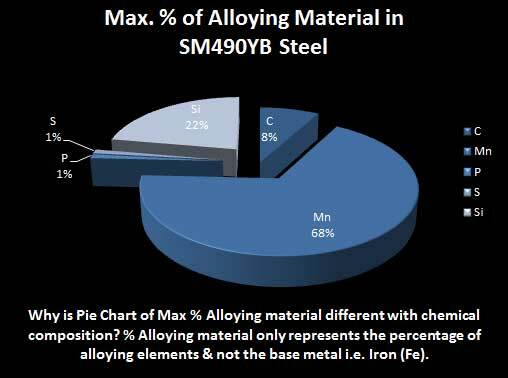 Dimensional Characteristics of SS540 Steels: The applicable thickness for this SS540 material as defined in the JIS 3101 starts from 6 mm to 120 mm. Maximum percentage of Carbon (C) is 0.30 percent. Maximum percentage of manganese (Mn) is 1.60 percent. Maximum percentage of Phosphorous (P) is 0.040 percent. Maximum percentage of Sulphur (S) is 0.40 percent. Mechanical Properties of SS540 Steels: The tensile strength of the SS540 Steels is expressed in Newton per millimeters and it must be at-least 540 N/mm2 (MPa). The yield strength is minimum 390 to minimum 400 N/mm2 (MPa) depending on the thickness. The yield strength for thickness below 16 mm is minimum 400 N/mm2 (MPa) whereas for higher gauges above 100 mm is minimum 390 N/mm2 (MPa). The elongation property of SS540 steel varies with the ranges of thickness. The minimum percentage ranges for elongation is 13% thicknesses till 16 mm and 17% greater than 50 mm. 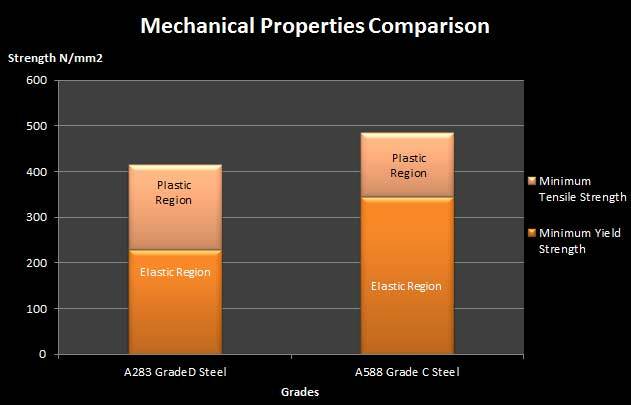 SPHC steel comparison with this grade of SS540 material will show how general structure hot rolled steel differs with commercial quality SPHC steel in chemical composition & mechanical properties. SAPH440 is an automotive structural steel and can be compared with SS540 material.